The library isn't just a place to get books. The Early Edition's Margaret Gallagher met with professor Lisa Freeman, who studies the role of libraries in our changing cities. 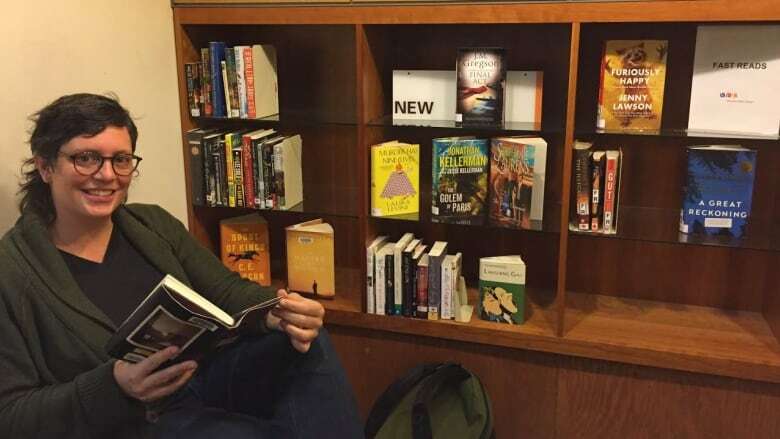 Public libraries used to function mostly as homes for books and reference material, but a Simon Fraser University adjunct professor says the institutions are increasingly being used for non-traditional purposes. Professor Lisa Freeman, with SFU's urban studies program, will be sharing her research on libraries at a lecture tonight called Re-defining the Public in Public Libraries. "Libraries are becoming increasingly important but in different ways than they [have been] traditionally," she said. "Librarians are ... really navigating some tricky societal questions." The warm and inviting public library is often a favourite haunt for families and children, but Freeman said it is also an important space for anyone who is marginally housed or experiencing homelessness, or for newcomers to Canada trying to find out what's happening in the community or navigating technology. Librarians have done their best to make libraries accessible to all, she said. "They're modifying rules around sleeping, around eating, around how long you can be in the library," she said. Freeman points to the Edmonton Public Library, which hired social workers and, for a time, allowed patrons to sleep inside. "In Edmonton, they had outreach workers in the library who would regularly know the people who were sleeping there and just check in to make sure they had a place to actually sleep at night. If they needed housing, they would try to connect them to resources." In 2015, the library had to cancel the no-sleeping rule after it found people were sleeping in the library all day, and it could no longer cope with the numbers. The city's library director said people were likely there because there weren't adequate day shelters in Edmonton. It's situations like that that lead Freeman to question whether librarians should be responsible for these kinds of services. "They're doing a lot of good work, a lot of challenging work, a lot of controversial work sometimes. I really think we need to start talking to our politicians, talking about why services are cut and why individuals have to sign immigration and citizenship forms at the library on a computer and not at an office with the government," she said. The lecture takes place at SFU Harbour Centre on Thursday, Nov. 24 at 7 p.m. PT. Can public libraries survive as an institution in the digital age?